“If these cakes have veggies in them, does it mean they are a healthy snack?” Ummm, no. 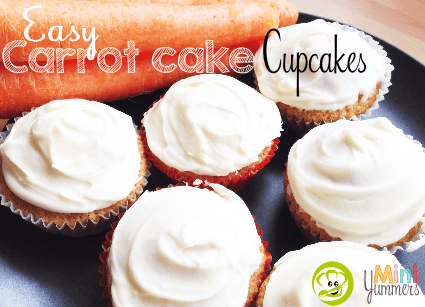 These carrot cake cupcakes might be healthier than most, but they are still very much a treat food. However, making yummy cakes that use carrots and oil as two of the main ingredients, are definitely healthier than cakes that use butter and chocolate as their main ingredients, so we can enjoy this little treat every now and then without too much worry. Carrots belong to the same family as parsley? 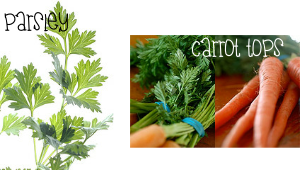 If you look at carrots’ bushy green tops next to a bunch of parsley, then you’ll see why. Can you think of any other veggies or herbs that might belong to the same family as carrots and parsley? 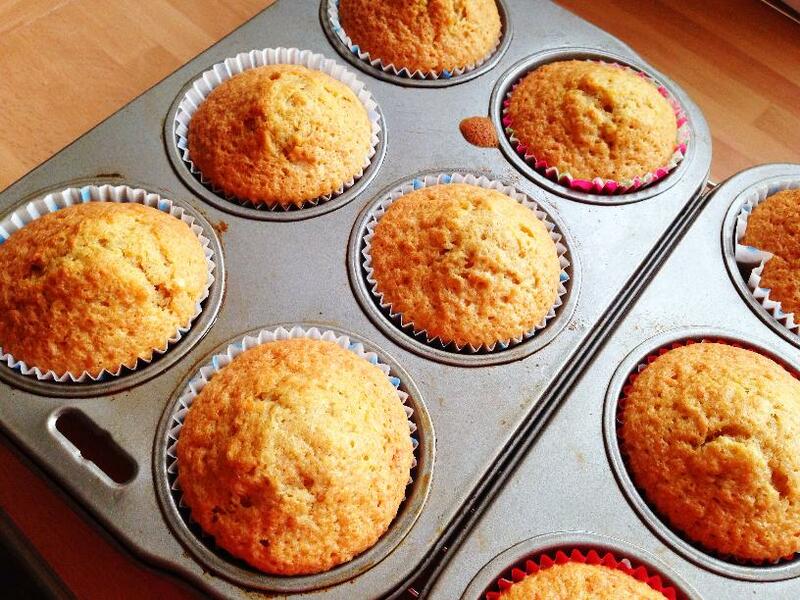 * If you want to make your cakes even healthier, then try using rapeseed oil. This oil is British and is even healthier than olive oil. However, using sunflower oil or mild & light olive oil works just as well. Preheat your oven to 180c, 350f, gas4. 1. Put your oil and eggs into a jug and whisk together. 2.Peel and grate your carrots. Put them in a jug with the oil and eggs and mix them together into an orange gloop. 3. Stir your dry ingredients (flour, baking powder, and spices) together in a bowl. 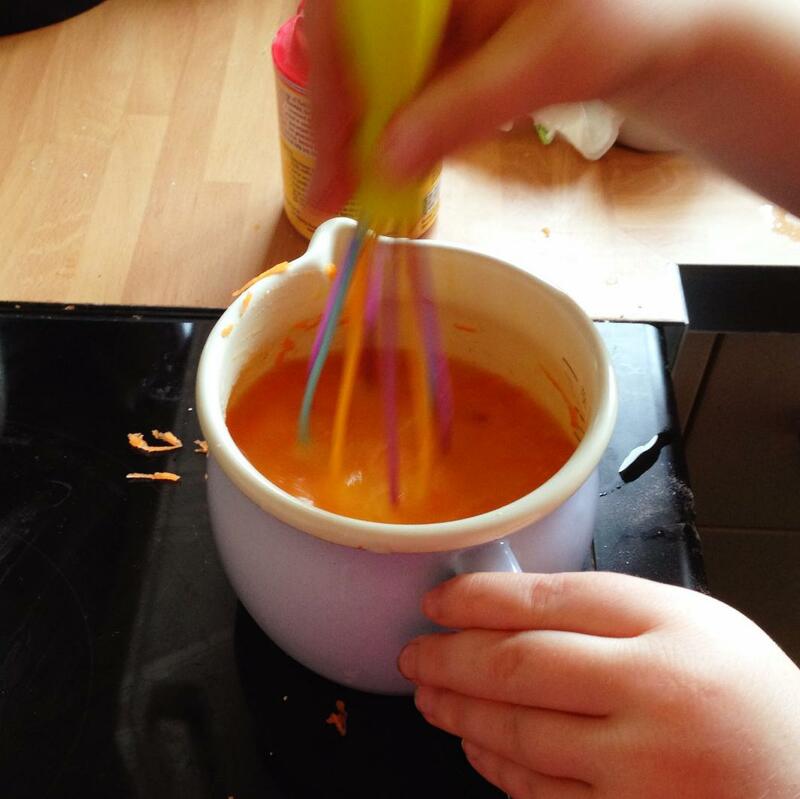 Add the orange gloop and mix it all together until well combined. 4. 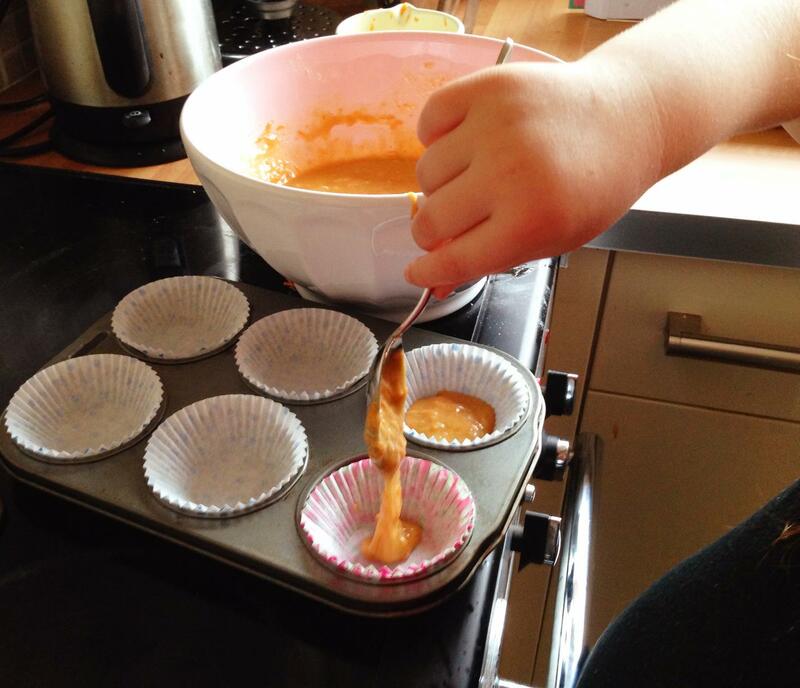 Fill your cupcake cases up 3/4 of the way, and bake for 20 minutes. Allow to cool. 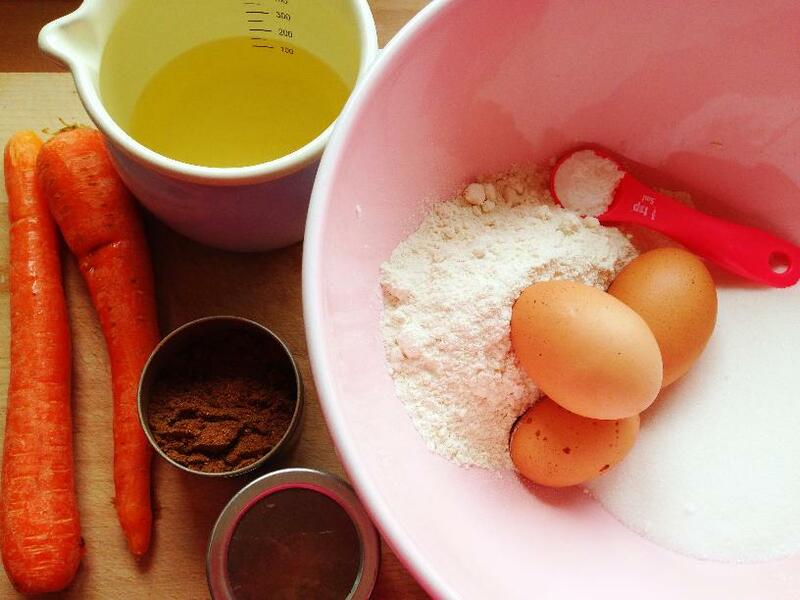 And that’s how you make easy carrot cake cupcakes! Why Are Carrots So Good For Us? Carrots are really rich in something called beta carotene. Our bodies are really clever at turning beta carotene into vitamin A. Vitamin A is good for our eyes, especially at helping our eyes to see better in the dark. 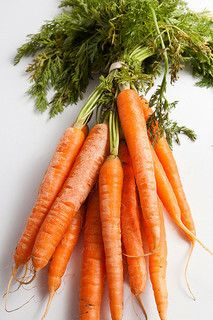 There is something in carrots called carotenoids (easy to remember because of the similarity in names). Carotenoids have antioxidant benefits. Antioxidants are particularly good at helping to reduce asthma symptoms. So carrots are a great veggie to eat if you suffer from asthma. 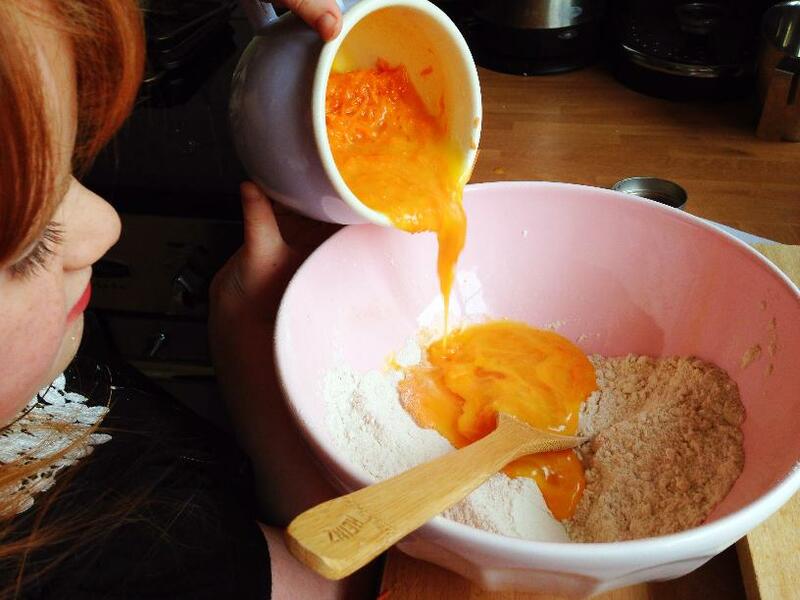 Unlike a lot of veggies, carrots have some natural sugars in them, and can often taste sweet–probably why they are one of our favourite vegetables, and why they taste so great in a cake!